Don’t put that bike away just yet! 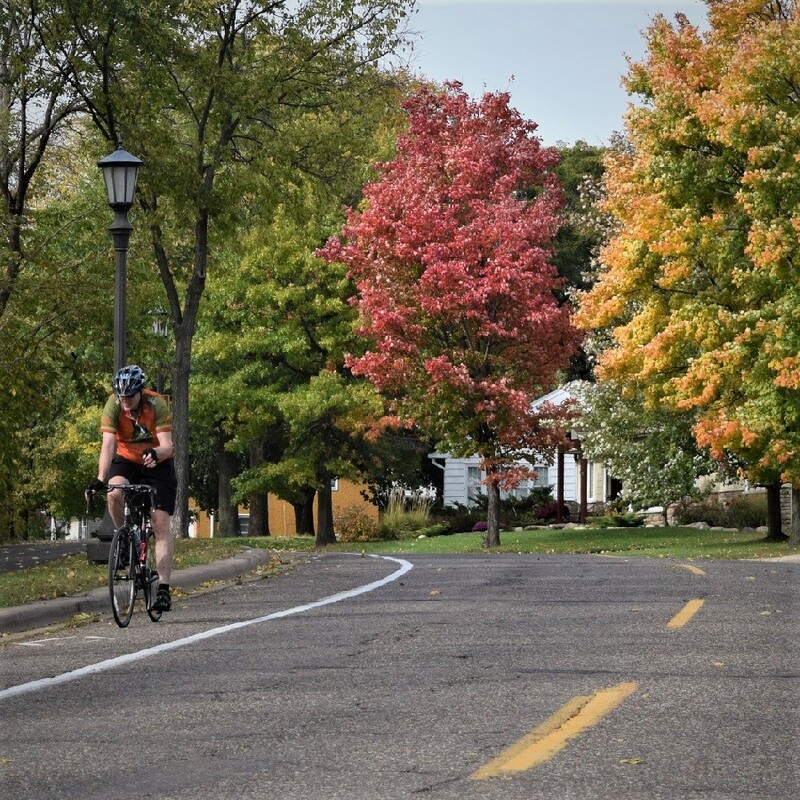 Fall color riding is one of the best times in the upper Midwest to explore all the bike-friendly destinations. With warm days and cool nights, low humidity, very few insects and the brilliant autumn colors the trees provide, fall riding can be picture-perfect. Riders enjoy the colorful trees along the trail as they get closer to their peak. As our summer bike adventures drift into fond memories, we still have a colorful blaze of options ahead. 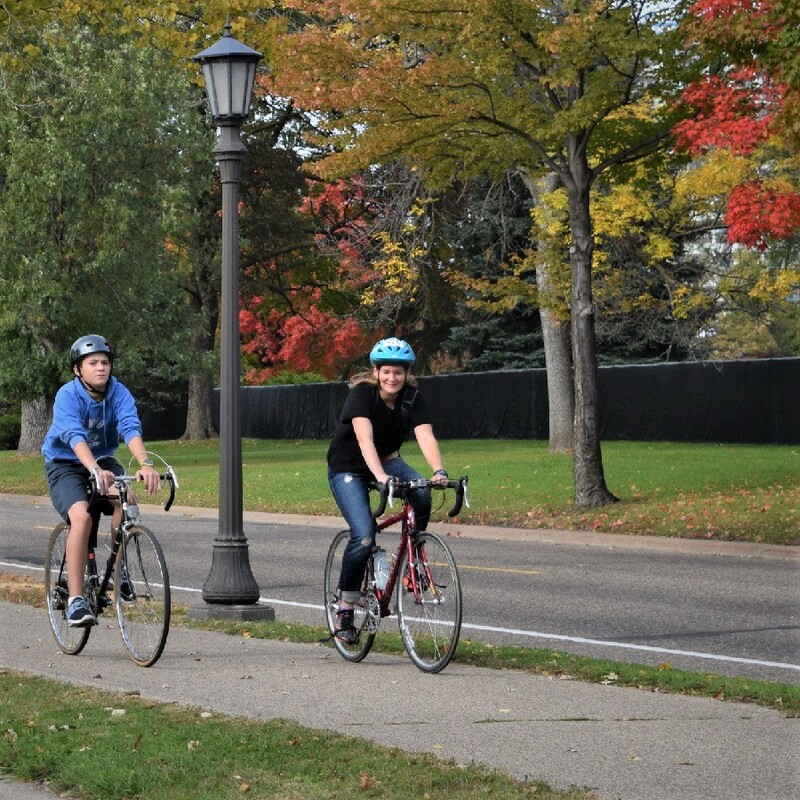 When the tree foliage begins to change, first in Minnesota and then in Iowa, using the HaveFunBiking guides in combination with the state DNR websites, it’s easy to expand your recreational riding through October. 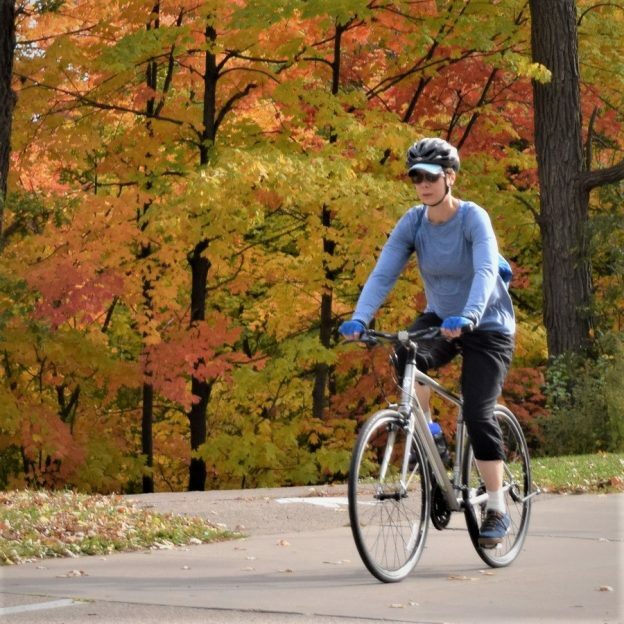 Using a copy of the Minnesota Bike/Hike Guide in combination with the MN DNR fall color pages will allow you to match up to a fall experience you won’t soon forget. If you didn’t have a chance to pick up a printed copy, the online bike guide offers even more bike maps and fun events for fall exploring. Trail riding in the fall amongst tree-lined trails is inviting. As the aspen, oaks and maples start bursting their colors consider bookmarking these two websites and plan your fall biking adventure. Find more Minnesota fall riding information here. Fall color riding on a bike friendly road. As the brilliant colors fade in Minnesota, Iowa is the place in October that will showcase most of its peak colors. Using a copy of the Iowa Bike/Hike Guide in combination with the IA DNR fall color pages will allow you some more fall experience you won’t soon forget. If you didn’t have a chance to pick up a printed copy, the online IA bike guide offers even more bike maps and fun events for fall exploring. 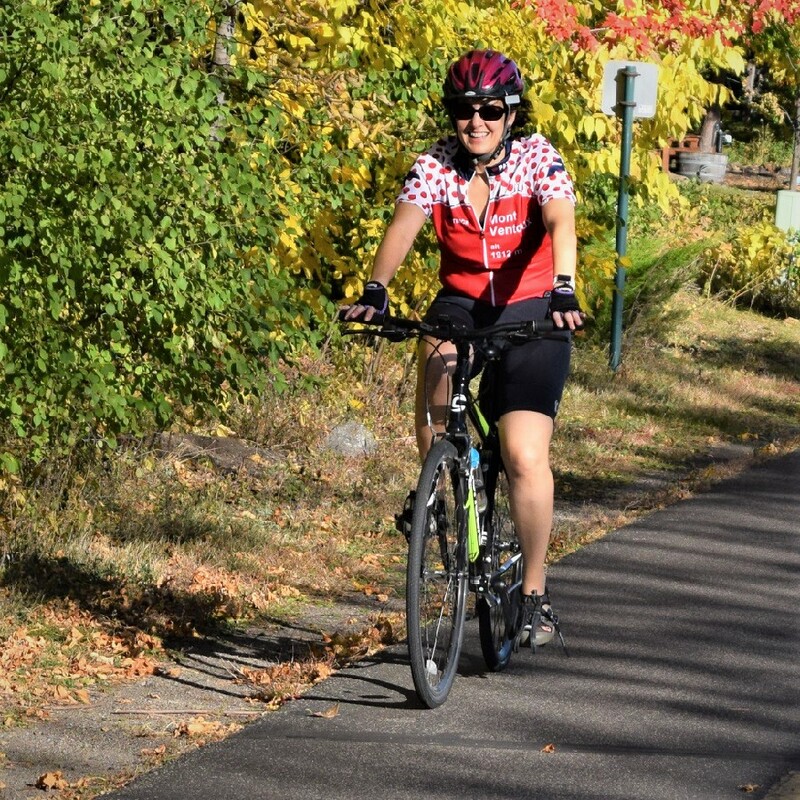 Though we don’t have a Wisconsin Bike Guide, at this time, here are links to Wisconsin’s Bicycle routes and fall color report page. Have fun making some fall color bike touring memories. This entry was posted in Destinations, News and tagged Bike friendly destinations, free bike maps, IA DNR Fall Color Page, Iowa bike guide, Minnesota Bike Hike Guide, MN DNR Fall Color Page on October 4, 2018 by Russ Lowthian.